A new male red panda called Peter has joined Marwell Zoo in Hampshire. The three-year-old male arrived on 7 March from Gaia Zoo in the Netherlands as part of the European Endangered Species breeding Programme (EEP) and has been settling behind the scenes. Named Peter, he has now joined Marwell Zoo’s female resident red panda, Mei Mei, in a new enclosure. Peter has settled in really well to his new home with Mei Mei. They don’t seem fazed by one another and Peter has done a lot of relaxing and snoozing, which is what we’d expected. Red panda breed once per year between January and mid-March, so we’re not anticipating any panda cubs soon, but we’re obviously hopeful for the future. During breeding season typical behaviour includes a lot of scent marking, with males staying in close proximity to the female until the female is receptive to a male’s advances, so we’ll be on the lookout for more interaction between them next year! The new enclosure has been specifically designed by Marwell’s keepers and landscapes teams to replicate a red panda’s natural habitats. 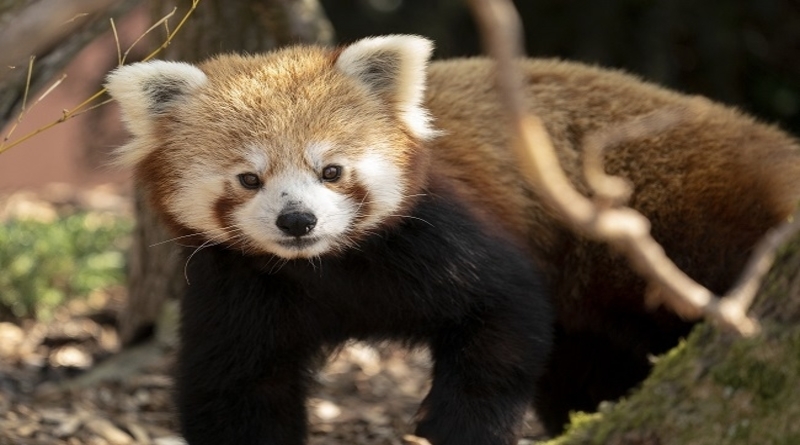 Populations of endangered red panda can be found in Nepal, India and Bhutan as well as China and Myanmar. Red pandas prefer to live in forests that have a bamboo thicket that is tall, has many shrubs, fallen logs and tree stumps to make it easy for the red panda to reach the bamboo. These forests are often found on mountain sides. With three different areas to explore, Mei Mei and Peter’s new enclosure features lots of planted bamboo and thick low-lying bushes, as well as both coniferous and deciduous trees to keep them both content all year round. To give Marwell Zoo visitors the best chance to see the pair, the new home also has multi-level viewing windows as well as climbing structures for the pandas to pass people overhead. Great for photo opportunities.